Do you believe that the War on Drugs is a success? That it is "winnable"? Or that it affects most of us only through the amount of taxes that we spend on it? Think again. In this massive collection a resounding "NO" comes from an unprecedented chorus of voices covering every facet of the War On (Some) Drugs. 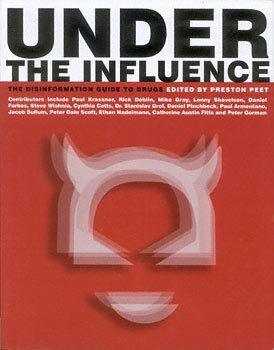 In the latest of the hugely successful Disinformation Guide series, editor Preston Peet assembles a "dream team" of former Police Officers, Government Agents and officials, physicians, investigative journalists, researchers, commentators, dissidents and academics to definitively cast aside the myths and misinformation perpetrated by a series of U.S. administrations and their allies to not only finance a never-ending War On Some Drugs, but demonstrably cause the very problems they supposedly are committed to eradicating. From empowering drug lords in Afghanistan and Colombia to waging war in the streets of the U.S., the War on Some Drugs continueds to subvert governments, police forces, financial institutions, and democracy itself while doing nothing to end the very real dangers that are associated with drug trafficking and drug abuse--and the prohibitionists know it.